Dutch cellist Harriet Krijgh and friends perform Antonín Dvořák’s Piano Quintet No. 2 in A major, Op. 81. B. 155, a quintet for piano, 2 violins, viola, and cello. The piece was composed between August 18 and October 8 of 1887, and was premiered in Prague on January 6, 1888. Performers: Harriet Krijgh, cello; Nikki Chooi: violin, Baiba Skride: violin, Amihai Grosz: viola, Magda Amara: piano. Recorded on June 30, 2017, during the Internationaal Kamermuziek Festival (International Chamber Music Festival) Utrecht in TivoliVredenburg, Utrecht. Published by AVROTROS Klassiek channel. Allegro, ma non tanto The first movement opens quietly with lyrical cello theme over piano accompaniment which is followed by a series of elaborate transformations. The viola introduces the second subject which is another lyrical melody, but much busier than the cello’s stately line. Both themes are developed extensively by the first and second violins and the movement closes with a free recapitulation and an exuberant coda. Dumka: Andante con moto The second movement is labeled Dumka which is a form that Dvořák famously used in his Dumky piano trio and features a melancholy theme on the piano separated by fast, happy interludes. It follows the pattern A-B-A-C-A-B-A where A, in F-sharp minor, is the slow elegiac refrain on piano with variations, B is a bright D major section on violins and C is a quick and vigorous section derived from the opening refrain. Each time the Dumka (A) section returns its texture is enriched. Scherzo (Furiant): molto vivace The third movement is marked as a Furiant which is a fast Bohemian folk dance. The cello and viola alternate a rhythmic pizzicato underneath the main tune of the first violin. The slower trio section of the scherzo is also derived from the furiant theme, with the piano and violin alternating between the main melodies. The fast Bohemian folk dance returns and the movement finishes aggressively, setting up for the polka in the last movement. Finale: Allegro. The Finale is light-hearted and spirited. The second violin leads the theme into a fugue in the development section. In the coda, Dvořák writes tranquillo for a chorale-like section, which features the theme of the movement this time in augmentation and played pianissimo, before the pace quickens with an accelerando, and the quintet rushes to the finish. Harriet Krijgh (born 1991) is a Dutch cellist. Her first cello lessons were obtained from Johannes Eisenmeier at the age of five. In 2000 she was admitted to the Young Talent class of Lenian Benjamins at the Utrecht Conservatory, where she also received a lecture from Jeroen den Herder and Elias Arizcuren. She is living in Vienna since 2004. Here she continued her studies with Lilia Schulz-Bayrova and Jontscho Bayrovaan at the Conservatory Wien Privatuniversität. In addition to her studies, Harriet received private lessons and master classes from Steven Isserlis, Dmitry Ferschtman, Clemens Hagen and Frans Helmerson. In 2008, she became first prize winner and winner of the Laureate Prize of Princess Christina Concours. She won the first prize at the national final of the Prima la Musica Competition in Austria and the first prize in her age category and the special Nicole Janigro Award at the Antonio Janigro Cello Competition in Croatia. In 2010, Harriet won the first prize in the Fidelio Competition in Vienna. In 2012 she won the National Celloconcours during the Amsterdam Cello Biënnale. Harriet was admitted in 2009 to the Live Music Now Foundation created by Yehudi Menuhin. In addition to regular concerts and solo concerts in Vienna, Harriet often plays in chamber music festivals including Haydn Festival Eisenstadt, Diabelli Summer, St.Gallen, Trigonale and Hagen Open. In the Netherlands she gave recitals in the Concertgebouw Amsterdam, “de Doelen” Rotterdam and Music Center Vredenburg, Utrecht. In 2011, Harriet made a concert trip through Asia. In Korea, Harriet played a number of recitals, and in Vietnam, they played the Triple Concert and Rococo variations. In 2012 Harriet will debut in the Konzerthaus Wien with the Haydn-C and D concerts. For the Capriccio label, Harriet has recently made her first CD recordings. Harriet plays a cello from the year 1690 built by Hendrik Jacobs in Amsterdam, lent to her by the National Musical Instrument Fund. Nikki Chooi is a Canadian classical violinist. He is the winner of the 2013 Michael Hill International Violin Competition in New Zealand and Laureate of the 2012 Queen Elisabeth Music Competition. Appointed by Maestro James Levine, Nikki serves as Concertmaster of the Metropolitan Opera Orchestra in New York for the 2016/2017 season. He was born on January 31, 1989, to parents of Chinese descent in Victoria, British Columbia. He began his studies at the Victoria Conservatory of Music where at age 9, he became a protege of Sydney Humphreys. He is a graduate of the Mount Royal Conservatory under Bill van der Sloot, and received his undergraduate degree at the Curtis Institute of Music, and recently completed his studies at the Juilliard School with Ida Kavafian, Joseph Silverstein, and Donald Weilerstein. In 2004, he came to national attention as the Grand Award winner of the Canadian National Music Festival and the Orchestre Symphonique de Montreal Standard Life Competition. Chooi attended the Curtis Institute of Music and the Juilliard School of Music. His mentors have included Ida Kavafian, Joseph Silverstein, and Donald Weilerstein. He has also worked closely with Pamela Frank, Steven Tenenbom, Shmuel Ashkenasi, Peter Wiley, and Pinchas Zukerman. Over the years, Chooi has performed with orchestras in Canada and internationally such as the St Petersburg State Symphony, Malaysian Philharmonic Orchestra, National Arts Centre Orchestra, Calgary Philharmonic, Auckland Philharmonia, Montreal Symphony Orchestra, Orchestre Royal de Chambre de Wallonie, and the National Orchestra of Belgium. As a recitalist, he has performed at the Vancouver Recital Series, Musica Viva Australia, Carnegie’s Weill Recital Hall, Astral Artist Concert Series in Philadelphia, and the Harris Theatre of Chicago. His chamber music interests have taken him to perform at the Ravinia Music Festival, Chamber Music Northwest, the Dresden Music Festival, the Moritzburg Festival in Germany, the Marlboro Music Festival and he has toured with Musicians from Marlboro. Nikki performs regularly with his violinist brother, Timothy Chooi. Together, they have performed with the Edmonton Symphony, Newfoundland Symphony, Malaysian Philharmonic and in recital at the Orford Centre for the Arts, Ottawa Chamber Music Festival, and the Mooredale Series in Toronto. 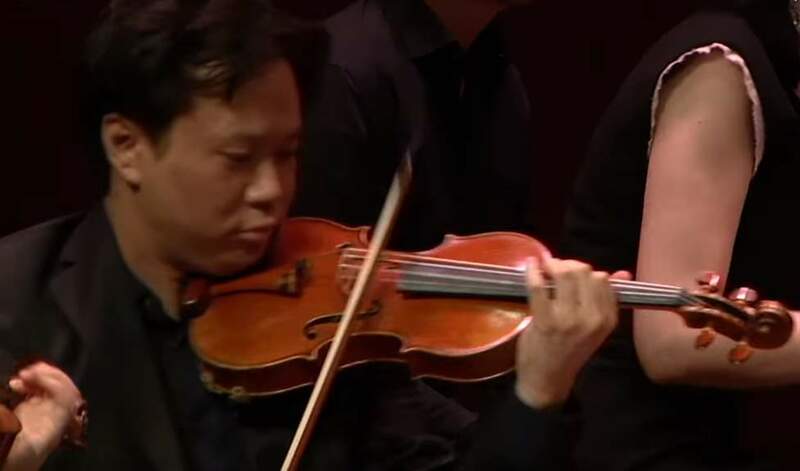 During the 2015-2016 season, Chooi was a member of the genre-breaking ensemble, Time for Three, performing internationally with highlights in Barbados, Grand Teton, La Jolla SummerFest, and with the Hong Kong Philharmonic. Baiba Skride (born 1981) is a Latvian classical violinist. She was the winner of the Queen Elisabeth Violin Contest in 2001, and has performed around the world. She currently resides in Hamburg with her 2-year-old son. She was born into a musical Latvian family in Riga in 1981 where she began her studies, transferring in 1995 to the Conservatory of Music and Theatre in Rostock, where she studied with Professor Petru Munteanu. She previously played the Stradivarius “Wilhelmj” violin (1725), which was on loan to her from the Nippon Music Foundation, and then the “Ex Baron Feilitzsch” Stradivarius violin (1734), which was loaned to her from Gidon Kremer. She now plays the Yfrah Neaman Stradivarius kindly loaned to her by the Neaman family through the Beares International Violin Society. Her sisters are Lauma Skride, the pianist, and Linda Skride who plays viola. Amihai Grosz (born 1979 in Jerusalem) is an Israeli violist. Since 2010, Grosz is the Principal Violist of the Berlin Philharmonic. He initially learned to play the violin at the age of 5, before switching to the viola at age 11. In Jerusalem, he was taught by David Chen, later by Tabea Zimmermann in Frankfurt and Berlin as well as in Tel Aviv with Haim Taub, who had a formative influence on him. Between 1993 and 1999, Amihai Grosz received scholarships through the American-Israeli Cultural Foundation and was a member of the “Young Musicians Group” of the Jerusalem Music Center, a program for outstanding young musical talents. This gave him the opportunity, at a very young age, to work with renowned artists such as Isaac Stern or the Guarneri Quartet. As early as 1996, he won 1st prize in the Braun Roger Siegel Competition of the University of Jerusalem. 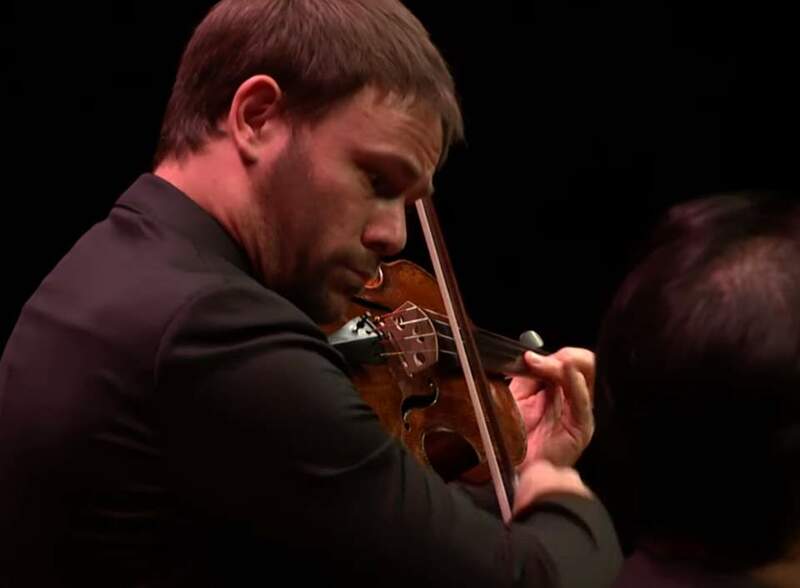 In 2007, he received the renowned Gottesman Prize for Viola in the Aviv Competition, the most prominent competition in Israel (comparable to the ARD Competition in Germany). For Amihai Grosz, chamber music is the foundation of his work. In 1995, together with the other section leaders from the university orchestra of the Jerusalem Music Center, he founded the Jerusalem String Quartet, one of the most interesting young quartets around today. From the very beginning, the four musicians aimed to create a distinctive sound, to find a language with its own individual character. 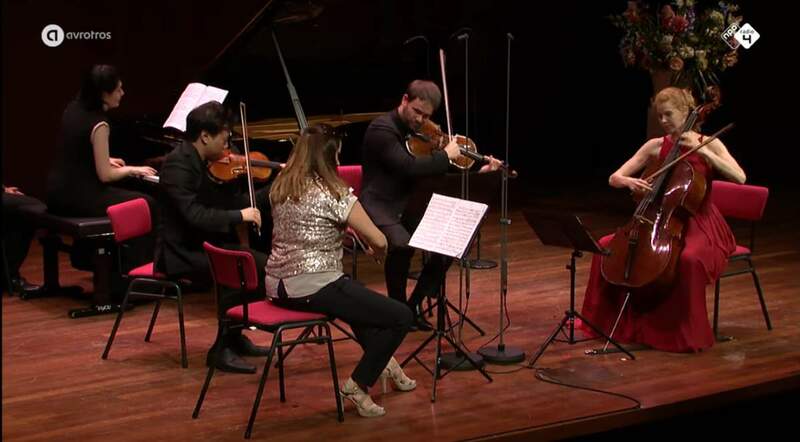 The Jerusalem Quartet, which early on won the Borletti Buitoni Trust Award, gained its central musical stimuli in master classes taught by Isaac Stern, the LaSalle Quartet, the Emerson String Quartet and by Frank Peter Zimmermann. Every year, the Quartet awards a composition commission to an Israeli composer. The ensemble gives concerts at all major international venues – the Tonhalle Zurich, the Wigmore and the Queen Elizabeth Hall in London, the Concertgebouw in Amsterdam and the Sydney Opera House, to name just a few. The Quartet has an exclusive contract with the label Harmonia Mundi. A number of recordings have been awarded international prizes like the BBC Music Magazine chamber award or the ECHO Classic Award 2009. Amihai Grosz works, in solo and in chamber music projects, with artists such as Yefim Bronfman, Emmanuel Pahud, Mitsuko Uchida, Oleg Maisenberg, Janine Jansen, Julian Rachlin and David Geringas; he performs in concert houses and at festivals all over the world, including at the Jerusalem Chamber Music Festival, Delft Festival, Salon Festival and Verbier Festival, at the BBC Proms, in the Bahnhof Rolandseck, at the Utrecht International Chamber Music Festival, at Spectrum Concerts Berlin and at the West Cork Chamber Music Festival. Magda Amara was born in Moscow and graduated from the Moscow State Conservatory in the class of Sergei Dorensky. She completed her studies with Stefan Vladar at the University of Music in Vienna and is laureate of eleven national and international competitions, including first prizes at the Jeunesses Musicales and Ennio Porrino Piano Competitions, and the 3rd prize at the Vladimir Horowitz International Piano Competition. As a soloist and as one of the most passionate and demanded pianists in chamber music, Magda Amara is a regular guest on many international stages. Playing in venues such as the Musikverein and Konzerthaus Wien, Theater an der Wien, Mozarteum Salzburg, Concertgebouw Amsterdam, Laeiszhalle Hamburg, Festspielhaus Baden-Baden and Tonhalle Zürich, her performances brought her to all important concert halls in Europe and beyond. Magda Amara was invited to many prestigious festivals, including Dvořákova Praha, Le Sion Festival, Festival de Radio France in Montpellier, Best of NRW, Neuberger Kulturtage and Attergauer Kultursommer, and enjoyed successful collaborations with the Vienna Chamber Orchestra, the North Netherlands Orchestra, the Cairo Symphony Orchestra and the Czech Philharmonic Orchestra Brno. As a devoted chamber musician, she is collaborating with outstanding partners, among them Julian Rachlin, Dora Schwarzberg and Stefan Vladar, as well as members of the Vienna Philharmonic and Berlin Philharmonic Orchestra. She shares a very close musical relationship with the Dutch cellist Harriet Krijgh, with whom she recorded two CDs, released by the Austrian Label Capriccio in 2013 and 2015. Projects for 2016/17 include concerts at the Luzern Festival, the Concertgebouw Amsterdam, the Musikverein Wien and many others.